Even though I'm headed off on vacation, thought I'd throw in a quick post on this Sunday morning. God used Eric Simmons to bless us with an excellent message this morning on denying ourselves and taking up our crosses. It should be available here by Monday morning. His exhortation to us was to reject self-rule and identify ourselves with Christ's rule. For you trivia buffs, you'll also learn about memine, a newly discovered result of American culture. Everything went well technically. We used our new Shure UHF-R wireless systems today. Nice! Last summer, some friends of ours went on vacation to the beach with their one-year-old son. The husband emailed after the vacation and said that he decided to rename their getaway. It was now a family trip. I'm guessing that travelling with a small child wasn't quite as much a vacation as the word "vacation" seemed to indicate. So, we're off on a family trip. I am thrilled to spend the week with my bride, my little girl, and my extended family, even if it doesn't mean we get to sleep in until 11am. Raise your right hand (Come on, humor me here). Raise your right hand, point your left forefinger at the place where your middle finger connects with your hand, and say out loud, "that's where Dave's going." Congratulations, you've just qualified to become a native Michiganian (or Michigander if you prefer). Look briefly at your hand-map once more. Notice what's missing? You got it, there are no major cities anywhere even remotely near our destination. The little town where my parents live is quite isolated, with only dial-up internet and very, very sketchy cell phone reception. However, I understand I can go to the Big Boy (do those still exist?) in a neighboring "city" and get wireless internet. But for what price? So, this may be the last post until August. I'll try to post occasionally during the trip, but I can't make any promises. Have a great couple weekends enjoying the Lord Jesus! If you're here to read about including teens in your tech and media teams, I'm so sorry. I decided to postpone that post one week in order to selfishly seek the help of my small clan of readers. And I need the help, believe me! In a few weeks, I'll be participating in a panel discussion seminar at the WorshipGod06 Conference called Sound Teams 101. Every time I'm asked to teach a seminar, I have a feeling of desperation for God's help. In many cases, the people I'm teaching could teach the same topic better than me. And even though I'm not really teaching this time, I still have that sense of need because I really do want to serve these folks in spite of my youth and inexperience. That's where you come in. You get to be a conduit of God's grace to me. I was asked to submit some notes in outline form on two topics we'll be discussing: On-The-Job Training and Growing Your Team as the Church Grows. Even though I probably don't have time to change the actual outline, I still have time to learn from you on how to help folks. Here's the outline. I won't write out the explanation of the points. If there's anything that seems really mysterious, that's because it's not clear. So, tell me what seems mysterious, so I can clarify it. And let me know what should be added, deleted, or changed. Thanks so much! On-the-job may be the only chance you get to train. Never do anything alone. Always be training. I do it. You watch. You do it. I watch. Make sure you transfer values and decision-making as well as functional procedures. Set up, tear down everything. Focus on recruiting labor, so that three or four technical “experts” can concentrate on their part. Find people who are resourceful and good problem solvers. Make sure to learn beyond your current needs, because you’ll use that knowledge soon. Expectations for excellence are increasing. Attempting to make your “smaller” system work for a bigger church. Focus on increasing your technical “expert” base, but don’t forget labor. Begin to instill the value of flexibility and use procedures that allow for flexibility. Begin to specialize by assigning people clear roles. Don’t set up and tear down each time. Opportunities to train outside of Sundays. More events outside of Sundays. What do I do with the extra volunteers? Specialize! Make everyone’s job easy but meaningful. Begin to create a more specific leadership structure. Insist on procedural and personal flexibility. Train a lot. Then train some more. Multiple sound systems to understand. Assign leaders to either “season of life” ministry areas, or sound systems. Assign leaders for each meeting context. Delegate as much as possible to those leaders. Encourage people to decide how they will serve, at events they normally attend, or at ones they don’t normally attend. Reserve your best people on Sunday mornings. When should we hire a part-time or full-time sound/technical person? Wait as long as reasonably possible. Well, I think I'm beginning a string of posts asking for your help. I'm working a new type of project for the fall, namely a set-design for our oncoming 1st Corinthians sermon series. The sermon series will last at least a year, so I need design and construction that will "last" the whole time. Do you have any pictures or videos of your favorite set designs, in a church or elsewhere? You could have designed and built them yourself, or you could have seen them elsewhere. Links to the pictures or videos would be ideal. You can comment on this post or email me. 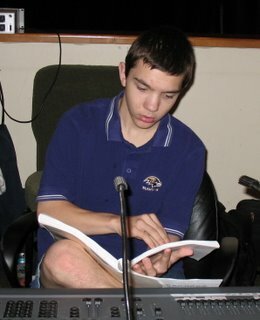 In light of Anthony Coppedge's post yesterday, I'm wary of becoming a copycat, but I'm also looking for examples and inspiration. I'd be so grateful for any help you can provide. After a "long" time away from blogging personal thoughts, Anthony Coppedge is back with a post called "Culturally Relevant or Cultural Rip-Off" which was really a comment on a Tony Morgan post, "What's Next for the Church?" This is some thought-provoking material and worth reading, taking to heart, and talking to others about. I'll be considering this stuff over the week. Maybe I'll post some thoughts on it later. What do you think of what's being said on these two posts? Thanks, Tony, for starting the discussion and Anthony for passing it on. This morning, John Loftness (aka The Lofty One since the "tall" pulpit isn't even tall enough for him), brought God's word in clarity and power. He spoke from Luke 11 about Jesus' "Woe's" to the Pharisees. What did the Pharisees' practices reveal? They were more interested in externals than internals, in hands not hearts. They practiced a religion that was self-serving rather than others-serving. Their practices led them to reject God rather than to honor God. What's the big deal? Why so many serious woes for such practices? If I say you can earn God's favor through your works, I steal from you the grace of God through Jesus Christ, which is the key of knowledge. His challenge to each of us was to get in touch with our inner Pharisees. Rather than judge the Pharisees who were there, we are to judge ourselves. Are there ways in which we attempt to justify ourselves and earn our standing before God through our service, sacrifice, or deeds? Most technical folks are sacrificial servants, and if it's true that no temptation has seized me which is not common to man, then most likely you, too, try to find comfort or justification in your own good deeds rather than solely in the grace of God. Listen to this message to remember the danger of self-righteousness and to seek humility. It should be up on the site by Monday afternoon. You can also review a post which I think relates well to this message: "Fear God. Not Men." I've been thrilled to highlight the fine teens who have been serving at Covenant Life's Summer Celebration kids camp throughout this last week. Today, I want to honor one in particular who specifically demonstrates scriptural serving: Justin Cowan. He is a living example of the post I made two weeks ago, "Trials, Temptations, Tests, and Forever." Over two years ago, Justin began suffering from migraine headaches. But these are not just occasional migraine headaches. His is one long continual migraine headache. He has stumped every doctor out there so far in search of any relief. Nevertheless, he has served faithfully and continually throughout the whole time. For Summer Celebration this year, he did all the volunteer recruiting, planned the actual tech requirements for the week, and then produced the event. What I'm most grateful for, though, is not his fortitude. I am most grateful for the way he is growing in joy and lack of complaining. I know he was exhausted this week. On Monday, he went home and slept the whole afternoon and through the entire night, with only a short break for an evening shower. However, had I not asked, he probably wouldn't even have told me that. When he did tell me, there was no complaining in his voice. He was simply stating a fact, clearly trusting God that He would provide strength for the rest of the week. Justin, thanks for letting me watch God craft you into a steadfast man who serves him to his glory! "How does your team fit in with planning of services? Do you find out early/late? 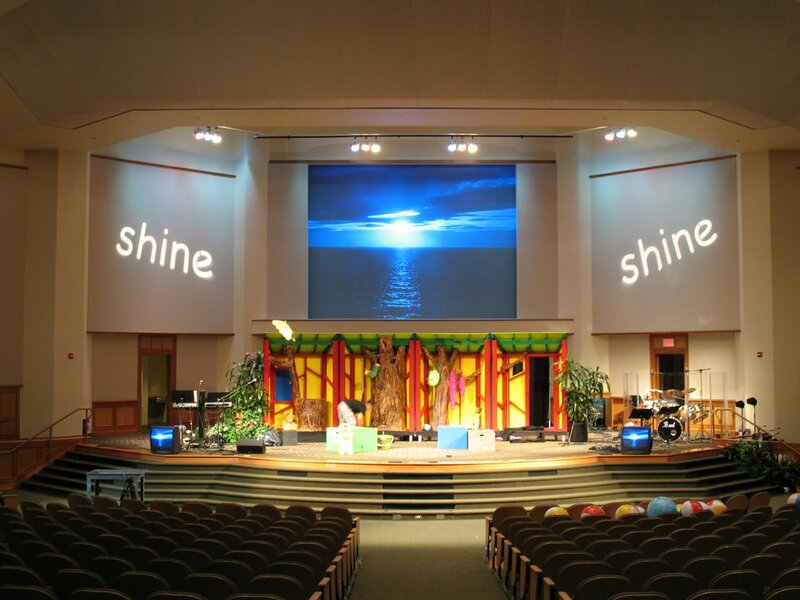 Do you give feedback on how you could use the available technology to enhance worship events? This is an excellent question, and one that I will answer from where Covenant Life is right now. As you'll probably see here, though I serve an amazing church which has experienced much grace from God, there are still ways in which we can and are trying to grow. This is one of them. Let me address the last question first. "Do you give feedback on how you could use the available technology to enhance worship events?" Absolutely. In Joshua Harris, I am blessed to have a very tech-savvy, design-wise senior pastor. His sense for how multimedia, technology, and meeting "flow" will affect the congregation is unusually astute. In fact, his sense is much better than mine. However, he always makes me aware of any specific ideas he has for technology or multimedia use, and I get to give input as to whether or not I think it will serve well. Most of the time he is right on. The pastors also make sure to evaluate each Sunday morning, to assess how things went in every area. While I'm not directly involved in that discussion, much comes from that conversation which I hear about from my boss, Corby Megorden, the church administrator. Sometimes, Josh will bring up thoughts from those meetings with me later. Again, at those points, my input, feedback, and suggestions are clearly welcome and expected. But when does all this happen? I meet each week on Wednesday with the senior pastor, his administrative assistant, the church administrator, music director, outreach adminstrator, and a few other "guests" to discuss upcoming Sundays. Usually we focus on the next Sunday morning. We also look at the next month to move forward on any Sundays that we want to make particularly special for the congregation. The pastors also meet weekly for Sunday evaluation. Honestly, our current structure doesn't allow for much advance planning, which can make it difficult to execute creative ideas well. However, we are currently in a "momentary" (8 months so far) creative planning hiatus. The staff used to meet quarterly with other creatively gifted people from the congregation to brainstorm multimedia, drama, and other creative elements for Sundays. Why not any more? Well, last October we went from only having one Sunday service each week to offering two different times. At the same time, we had to cut our service length by 30 minutes. For the time being, we shifted our resources to focus on the administrative challenges of two services and assumed that most of our creative stuff would end up being cut by the 30 minute shrinking. However, we're getting back on track this fall with regular creative planning, and I'm stoked because I think the new routine will help us do even better. Here's our new plan: The Sunday Creative Team, which will now be an official entity, will meet quarterly to discuss 6 months worth of Sunday services at a time. One half of the meeting will be dedicated to project management of the next 3 months of creative ideas. Who's doing what when? What is still needed? What is the progress of the near-term projects? The other half of the meeting will be dedicated to brainstorming creative ideas for months 4-6. At the next meeting, then, we'll work more specifically to project-manage those ideas. With our former process, we came up with a lot of great ideas, but we rarely had people follow through on those ideas. Hopefully, with the new 3-month planning overlap each time and specific project management, we'll really be able to get things moving. So, that's what we're up to here. Did you notice that there's a word missing from this post: "team." I see a good deal of "I"s and "me"s, but no "team." Unfortunately, because I'm the only staff member, I'm the only person on the technical teams that really has contact with the creative process. Anyone have any ideas on how to change that? Maybe one of the Summer Celebration Tech Teens? He had to stand on his tiptoes to see over the heads of the crowd. Biblical Counseling. Adult Choir. Women's Prayer Group. Nothing for a 14-year-old boy who really knew nothing about anything. Except maybe, "Technical Ministry." It was a long-shot, but he went up to the table to ask. "Hey, ummm... I'm only 14 and I don' t know anything about sound. Is there any way I can help?" The answer completely surprised him. And changed his life forever. That was me, 16 years ago at Central Wesleyan Church in Holland, Michigan. Somehow, the patient and wise and kind and generous folks there allowed me to come and play on the sound, lighting, and video crew. It was a small beginning, but from there I went to school for studio recording and film production and then began working freelance and now I'm back serving the church at Covenant Life, this time as a technical director. God works in mysterious ways. This story is why I love working with teenagers and why I insist on having teams that encourage young men and women to serve. Who knows where God will take them after that? Most of them will never become technical directors, but I sure hope one of them will eventually step up, out-serve me, and take my spot on staff here. I can't wait! Check back next week Wednesday to see how we do our best to encourage teenagers to be involved. With Summer Celebration happening this week, I've been thinking frequently about communicating the truth of the gospel to kids. We are called as parents and as churches to train our children about Biblical truth. How can we do that most effectively? In a teaching I recently heard on disciplining children, Kenneth Maresco was encouraging parents at Covenant Life to make sure to have their kids look them in the eyes as they talk. This can take patience and persistence. "Meg, look me in they eyes... No, you must look daddy in the eyes... Please look me in the eyes..."
Even the best kids have short attention spans. At a kids church service, when there are dozens of them all together, they face so many distractions. And in that context, the person on the stage can't engage individually with each child, saying "Look me in the eyes." That would get nowhere fast! So, how do we keep children "looking in our eyes" when we try to communicate truth to them in groups? Yep, kids are drawn to foolishness. I don't know any parent who would disagree with that. Why are they drawn? Ultimately it's because they are sinners who rebel against parental direction. More specifically, though, I think that they are drawn to foolishness because they love fun. Think about it: what motivates kids, if it isn't fun-ness? Kids love to have fun, they live to have fun, and they despise boredom. And foolishness sure seems fun sometimes! Remove as many temptations to foolishness as possible. Make church a place filled with fun. And I think this is where media and technology folks can come alongside pastors and Sunday school teachers to make the gospel truth effective. Media are fun for kids. When absolutely nothing else can make her happy, my seven-month old will still calm down when plopped in front of the movie our good friend Nemo. 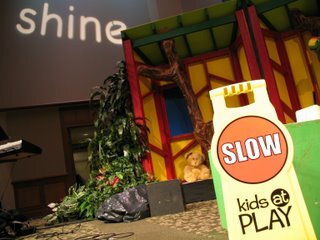 So, let's use technology to make church fun, not to simply entertain, but so that we can keep our children's eyes and hearts and minds focused on the truths of the gospel. Here are some pictures from Summer Celebration this week. 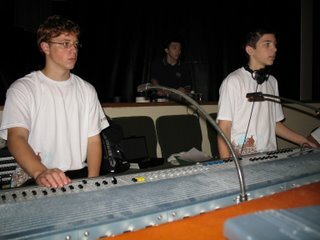 100% teens on the tech staff. It gives me great faith for our future! Sorry about the lack of Summer Celebration pictures. I accidently left the camera sitting on my desk at the church. I'll try to get them up first thing tomorrow. Update: Ack! Now I left my USB cable at the house. I'll be scrounging around the office for one. Maybe the pictures will be up later today? Tomorrow starts for me at 7am for Summer Celebration, Covenant Life's kids summer camp, so this post will be brief. We just finished setup, and I'll probably pop up some pictures from the camp tomorrow. Summer Celebration is fun on the tech end with bubble machines, globe lights, chases and the like. This morning we heard from Joshua Harris on the cost of Christianity. You can hear the message once it's posted on our sermons page, which will probably happen in the next day or two. I'm hoping it goes up soon, since I didn't get to listen and take notes this morning while trying to direct cameras. One interesting note from the morning... Last fall, Joshua did two messages on courtship which a publisher is considering for a future video product. We gave them the IMAG footage, which they thought was great. However, the footage didn't have any wide shots that included the congregation. If it had, it wouldn't have been IMAG. 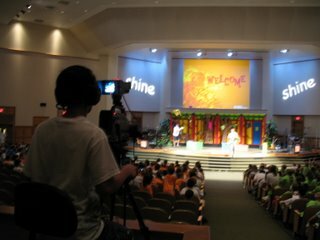 So, one of our favorite video companies, Brainbox, came in this morning to attempt to remake those November mornings and get shots of Joshua preaching with the congregation. But they had to make sure the shots avoided seeing his face clearly, since he wasn't speaking remotely the same words.. We had about four hours of conversations on Saturday to figure out which shots will work and what we had to do to make sure that continuity could be kept, even though the shoots were done ten months apart. I think we were able to make it work with only minor modifications to our original Sunday plan. Of course, Josh had to wear two different outfits, one in the first service to match the first courtship message and a different one during the second service to match the second courtship message. Yes, that argyle sweater may live on ad-infitum. Yeesh! I'll let you know if/how the project turns out. 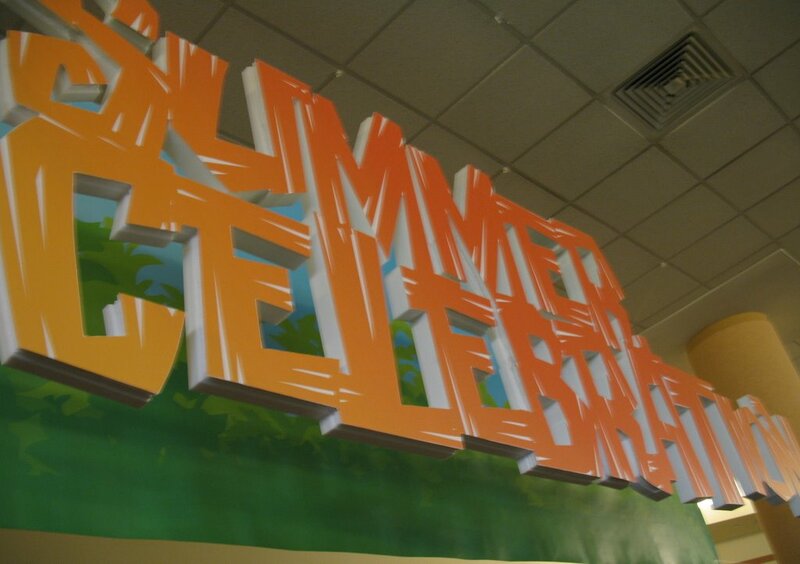 Look for those Summer Celebraion pics tomorrow. I lose things. All the time. Yesterday, I lost a book. I took it with me to work, so that I could read over lunch. I couldn't find it at lunchtime, so I thought I must have left it in the car. I went to the car at the end of the day and didn't find it there, so I thought I must have left it at home. I got home and couldn't find it there, so I thought maybe I took it into my office and lost it under the piles on my desk. I'm dissapointed, not because I'm a loser, but because I lost the book, Humility, by CJ Mahaney. I had been anticipating reading a chapter titled Encouraging Evidences of Grace in Others. The chapter is based on a phrase that CJ coined, "evidences of grace," and that he has solidified through various messages on 1 Corinthians, one of which is called Grace and The Adventure of Leadership. "I give thanks to my God always for you because of the grace of God that was given you in Christ Jesus, that in every way you were enriched in him in all speech and all knowledge--even as the testimony about Christ was confirmed among you--so that you are not lacking in any spiritual gift, as you wait for the revealing of our Lord Jesus Christ, who will sustain you to the end, guiltless in the day of our Lord Jesus Christ. God is faithful, by whom you were called into the fellowship of his Son, Jesus Christ our Lord." How is it that Paul could say that this church was "enriched in him in all speech and all knowledge...not lacking in any spiritual gift?" He could say that because of the faithfulness of God. Paul believed that any evidence of God's work was worthy of remembrance. And the result is frequent and sincere thanksgiving to God. Follow Paul's example and look hard for how God is at work in others, even the people who are "difficult." Encourage them for what you see and give thanks to God for that grace. What are you more aware of: others sins or shortcomings, or the evidences of God's grace in their lives? This has been a life-reshaping perspective for me. What a joy it is to see God at work all around me, even in the most challenging situations and with the most challenging people. It brings me hope and faith and gratefulness and love for others that I never experienced before. I had lunch with a man who has leadership gifts and a love for children. 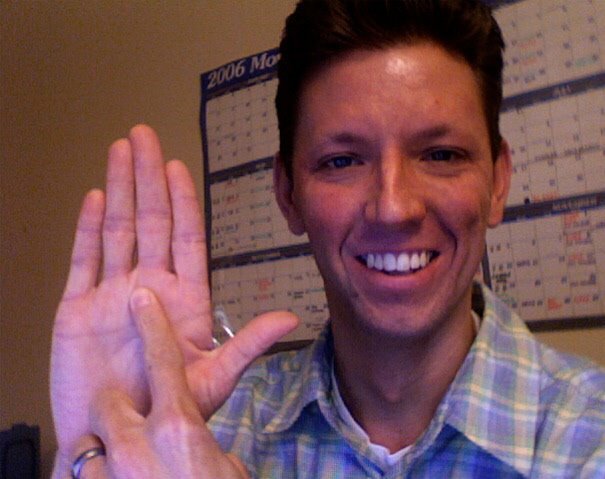 And he is excited to serve in a significant, sacrificial way to make our children's ministry more effective than ever. Only God could give that heart. I had a discussion with a dad whose 18-year-old son seems to be off-track a bit. But his son still loves to serve and has expressed an interest in taking membership classes even with hesitations about the church. Only God is keeping him from disappearing altogether. Tomorrow, I have a new intern starting. He'll be digitizing sermons, both audio and video, as well as helping with some other technical projects. He wants to give away 40 hours a week to the church. Only God could motivate such sacrifice. This week, 15 of the finest high schoolers in our church will be running tech for Summer Celebration, our kids camp. Only God could provide 660 man-hours of near-professional level production by teenagers. All we're provided is a pizza lunch, a bit of fun, and whole heap of hard work. I could go on. But here's the take-away for me: I need to make sure that I tell all these people that I am grateful to God for the works of grace He has done in their lives. And then I need to give thanks to God over and over and over for them. Last week, after announcing our ServFest results, scooterpastor wrote with this request..."
OK, I would like you to share some posts on how you recruit teams, what servefest is, etc..."
First of all, let me say that I am particularly blessed at Covenant Life Church. We have an entire team of servants dedicated to connecting new volunteers to ministry teams. That is the LINK team. So, they handle all of the regular, front-end recruitment for all ministry teams in the church. What do I mean by "front-end recruitment?" LINK is the first point of contact for potential volunteers through Starting Point, a Lobby Kiosk, and ServFest. I'll explain those further later. They point potential volunteers to openings on ministry teams that fit the volunteer's giftings and time availability. They "background check" potential volunteers to make sure that they meet the "member status" requirements for teams they are interested in. Some teams require membership in the church, others do not, and some have other prerequisites. They contact ministry team leaders regularly with contact info for potential new recruits. They regularly contact ministry team leaders to have a complete and updated list of ministry team openings throughout the church. They probably do a bunch of other things that I never even notice but depend on greatly. First points of contact are essential for making sure volunteers don't get lost in the shuffle or end up wandering down a circuitous path to finding the right ministry team to join. The LINK team uses three contexts for first points of contact: Starting Point, a weekly Lobby Kiosk, and ServFest. Starting Point is our membership class. In Starting Point, we try to instill a value of our church which has been historically called EMI, or Every Member Involvement. And at the end of each class session (there are 10 sessions, I think), a member of the LINK team is available to discuss serving opportunities with Starting Point attendees. Still, some people manage to become members without finding a meaningful place to serve. So each Sunday morning, LINK sets up a "kiosk" (that's Scandanavian for a folding table) where anyone interested in serving can come up and talk about serving opportunities with a LINK team member. Finally, there is ServFest, which is our name for a ministry team fair. We've done ServFest several different ways, but I think this year's was definitely the best. On June 9th, our senior pastor, Joshua Harris, gave a message on serving. He ended about fifteen minutes early, so that anyone who wasn't serving could attend ServFest. Each major group of ministry teams gave a five-minute presentation in one of three tents set up on our back lawn. Large signs led people to the teams they were most interested in. Each person got a card, and he was able to indicate on that card what ministry team group interested him most. Then he wrote down the specific ministry team on a line below that group. I guessed that I had 300 people listen to the presentation on Technology Ministries. From that, I had 80 people check off the card that they were interested. From here, it's my responsibility to follow up. For those 80 people, we'll have a series of meetings on a Saturday in August, introducing them more fully to each of the different teams. For someone who comes in through Starting Point or the Kiosk, I'll often meet with them one on one or in small groups. At that point, they make a decision to sign up or not. So that's the process. Any other questions? 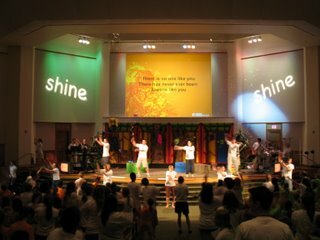 Next week, Covenant Life is welcoming 350 kids for Summer Celebration, our summer camp for children. I found out today that 25 families from outside the church are sending their kids to the camp. What a wonderful opportunity to invite them into our experience of God's grace. Because of the holiday weekend and the extra time I'll be putting in next week for Summer Celebration, I'm not working as much this week as usual. Hence, I didn't get all my blog posts written on Tuesday (oops, I just let out the great trade secret!). So, instead of posts on Tools and Techniques or Team Building today, I want to highlight a discussion that's been happening on the Together for the Gospel blog. They have been discussing relevance in preaching. I thought this would be a worthy topic for all media folks to consider since we are often in the position of attempting to assist a teacher in making a message relevant. That's what I told a friend of mine the other night as we chatted after dinner. I know what your thinking: That's profound, Captain Obvious! It may not be profound, but it is true, and I've been reminded of that recently in several ways. Today, I met with some folks to discuss the spring youth drama, Acts. For most of them, the play caused some significant and serious temptations associated with serving. Tonight is this summer's only meeting for 10:31, our youth ministry. They are going to be celebrating evidences of God's mercy in the youth's recent missions trips to Mexico. However, those evidences of grace came with a cost: many people got seriously sick, especially on the second team to serve down there. The video producer for 10:31 almost forgot there was a meeting tonight. Because he came in to serve, he had to postpone leaving for vacation. What would have been a calm afternoon drive is now a long, late-night trek. I'm sure there have been and will be temptations for him and his family. I thought it would be appropriate to follow up on last week's post called Excel For Rewards in Paradise with an admission that it can be difficult to hold on to faith in the future when the serving gets difficult in the present. I found this Scripture passage from 1 Peter 1:3-9 comforting, encouraging, and provoking in the moments of my own lack of faith. "Blessed be the God and Father of our Lord Jesus Christ! According to his great mercy, he has caused us to be born again to a living hope through the resurrection of Jesus Christ from the dead, to an inheritance that is imperishable, undefiled, and unfading, kept in heaven for you, who by God's power are being guarded through faith for a salvation ready to be revealed in the last time. In this you rejoice, though now for a little while, if necessary, you have been grieved by various trials, so that the tested genuineness of your faith -- more precious than gold that perishes though it is tested by fire -- may be found to result in praise and glory and honor at the revelation of Jesus Christ. Though you have not seen him, you love him. Though you do not now see him, you believe in him and rejoice with joy that is inexpressible and filled with glory, obtaining the outcome of your faith, the salvation of your souls." What encourages me from this? First, God's power and mercy, not our serving, are our confidence in the glory of heaven. He has caused us to be born again. He is guarding our inheritance. He is the one who assures it will truly be imperishable, undefiled, and unfading. Second, our trials are only for a little while. Even though today's challenges may seem to overshadow all the joy that has come before, they are truly short in relation to eternal life. Third, our trials purify us more than gold. Consider this: gold can be placed in fire and not perish. Yet it still has no eternal worth. Our souls, however, have even more potential for value than gold. We are tested by fire, so that on the other side of our purification, we will forever worship and praise God. Fourth, our trials are insignificant in comparison to the wrath of God that we deserve in light of God's holiness and our sin. Through faith in Jesus' death as the substitute for our punishment, we gain the salvation of our souls. That should put all trials in a different light. What is the result of a right understanding of trials? The result is a greater faith in God. "Though you have not seen him, you love him. Though you do not now see him, you believe in him and rejoice with joy that is inexpressible and filled with glory." So, whatever temptations, tests, or trials you face tomorrow as you serve your church, remember why they are there: to turn you to God, to make you more like his son, to make you more grateful for his mercy, and to bring him praise and glory and honor on the last day. Pretty much every summer I nab a short summer cold. It hit me yesterday, hence no post on Questions and Answers for this week. "OK, I would like you to share some posts on how you recruit teams, what servefest is, etc...."
"How does your team fit in with planning of services? Do you find out early/late? Do you give feedback on how you could use the available technology to enhance worship events?"